It’s 1945 and Miklós is looking for a wife. The fact that he has six months left to live doesn’t discourage him — he isn’t one to let small problems like that stand in the way, especially not after he’s survived a concentration camp. Currently marooned in an all-male sanatorium in Sweden, and desperate to get out, he acquires the names of the 117 Hungarian women also recovering in Sweden and writes each of them a letter in his beautiful cursive hand. Luckily for him, Lili decides to write back. Drawn from the real-life letters of Péter Gárdos’s parents, and reminiscent of the film Life Is Beautiful,Fever at Dawn is a vibrant, ribald, and unforgettable tale, showing the death-defying power of the human will to live and to love. PÉTER GÁRDOS is an award-winning Hungarian film director. 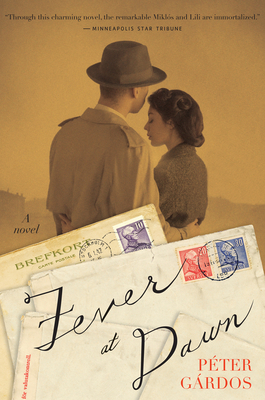 Fever at Dawn is his first novel and is based on the true story of his parents. ELIZABETH SZÁSZ is a freelance literary translator based in Budapest.